Tokuhisa Fujii founded Intelligence Factory Corporation and has served as CEO since its inception in November 2005. Prior to founding the company, he engaged in industrial research and corporate analysis as a stock analyst at Diamond Financial Research. He started his career as a system development engineer for credit card systems at Sorun (current TIS, Inc.), a major system development company. He belongs to Research Center for Advanced Science and Technology, the University of Tokyo as a Joint Research Fellow. He earned an M.S. from Tokyo University of Technology’s Graduate School of Bionics, Computer and Media Sciences. He also holds a B.A. in economics from Keio University. 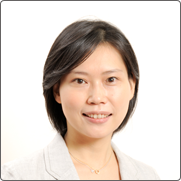 Keiko Tomioka joined Intelligence Factory Corporation in 2013 and has served as Director responsible for business management and corporate communications. Prior to Intelligence Factory, she served as Functional Head responsible for overall corporate communications at Metro Cash and Carry Japan, a major global wholesale company based in Germany after serving as a corporate communications manager at Broadband Tower. She also engaged in establishing Leica Camera Japan at Hermes Japon. Before joining Hermes, she served as office manager at Sprint International Japan, the large U.S.-based telecommunications company. She holds a B.A. from the University of the Sacred Heart. 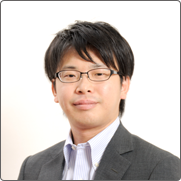 Shunsuke Amiya joined Intelligence Factory Corporation in 2015 and has served as Audit & Supervisory Board Member. 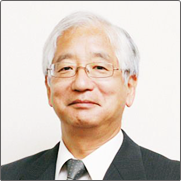 Prior to Intelligence Factory, he served as Audit & Supervisory Board Member at Nippon Telegraph and Telephone Corporation, and Senior Executive Vice President at NTT COMWARE Corporation. He also engaged in establishing NTT Communications Corporation. At NTT Communications Corporation, he served as Executive Vice President after serving as Director, General Manager of Corporate Planning Department and Personnel Department. He holds a Bachelor of Laws from the University of Tokyo. 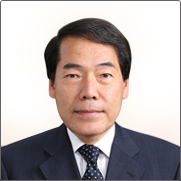 Nobuo Suzuki joined Intelligence Factory Corporation in 2013 and has served as Audit and Supervisory Board Member until June 2015, as Director and CFO until June 2017, and now he serves as Corporate Officer. Prior to joining Intelligence Factory, he served as a member of the board responsible for sales at IBJ Trust Bank (current Mizuho Trust Bank) where he contributed to establishing the bank. He also held a tenure at The Industrial Bank of Japan, during which time he served as Chief Resident Officer at the representative office in Washington D.C. as well as Deputy Managing Director at IBJ International, London. He earned an M.B.A. from the Wharton School of the University of Pennsylvania and a Bachelor of Laws from the University of Tokyo.